The Drive FootStool with Handrail adds extra security with its 34-inch curved handle. The top of the handrail is flat giving ample space to grip. The stool is lightweight at only eight pounds allowing you to re-position it easily or move it into another room. It may be light but it's very sturdy and can support a weight capacity of 300 pounds. The platform of the Foot Stool with Handrail features a ribbed rubber non-skid surface giving extra traction when reaching up to grab an item. 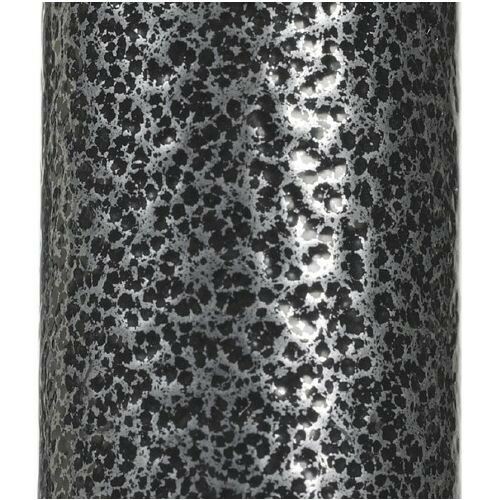 The feet are also reinforced rubber tips to provide a secure and firm foundation. 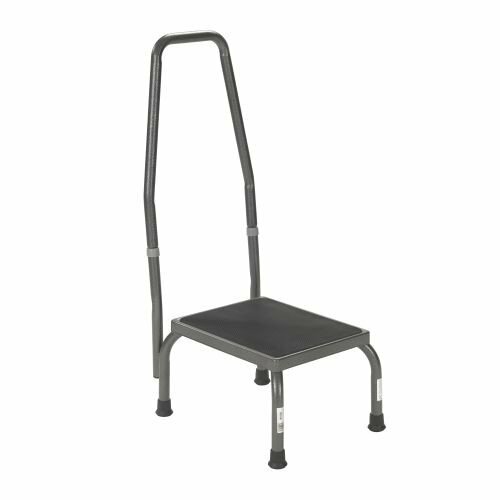 The Drive Medical 13031-1SV Footstool and Handrail uses steel-welding construction ensuring the platform is well-built and the handrail won't break from the foot stool. To add to its robust construction, Drive Medical finishes the stool with a silver vein coating that not only makes it less sterile looking, it hides scuffs and dings for easy maintenance. The weight capacity of the footrest is 250 pounds. Bought this for my 90 year old Mom to help her into the van. My older sister and I assembled it in 15 minutes...including time to find a screw driver and pair of pliers....Following the diagram it went right together with no problems. Very sturdy. I want another to keep in the house! We used pliers to hold the nut while tightening the bolt with the Phillips driver. Some folks said the rubber on the step top smelled bad....not this one. The plastic film around the step did, but that pulls right off and is just there to protect the metal during shipping.